A.L. Hess Memorial Hall in 1949. 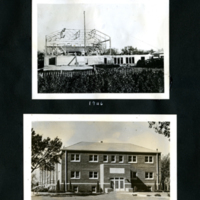 Shown in comparison to the same building under construction in 1946. 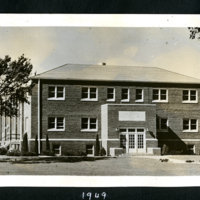 Beyler, Clayton, “Hess Hall, 1949,” Hesston Public Library, accessed April 19, 2019, https://hesston.digitalsckls.info/item/1648. A.L. Hess Memorial Hall in 1949, photographed by Clayton Beyler. Shown in comparison to the same building under construction in 1946.